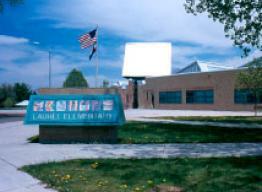 Founded in 1906, Laurel Elementary School of Arts & Technology retains the name of the original school on Laurel Street. Laurel embraces a diverse student population with a wide range of economic levels, cultures, interests, and academic needs; teachers tailor instruction to accommodate each student. Laurel educates the whole child through the infusion of arts and technology across the curriculum. With a culturally-rich learning environment, differences are supported and celebrated among students. Laurel also offers an outstanding education for gifted students, small group instruction for literacy and math, and a K-5 strings program. As a Positive Behavior Intervention Support (PBIS) school, character traits are taught using the Time to Teach school-wide discipline program, and a teacher-created good character program which is integrated into daily instruction. Unique to Laurel are two every other year one-week field trips. One year students may participate in a weeklong field trip to the Crow Canyon Archaeological Center and the next year participate in Journey in Government - a week-long adventure to Washington, D.C.